Terry Butcher has revealed new manager Paul Lambert is planning to meet up with the former England skipper and other Blues stars of the past to hear their thoughts on Town. Butcher and Lambert spoke on the phone last week with the former Town number six impressed with the way the new boss has started his job at Portman Road. “We had a quick chat, I sent him a text as well,” Butcher, 59, said on Saturday’s Life’s a Pitch on BBC Radio Suffolk (29mins 21secs). “He’s very good, he wants to get a few of the older boys together and talk about our opinions and things like that. “It’s just nice to be phoned up and receive the call, it was really good. I’ve known him for quite a while now, I’ve done some work with him before and was against him when I was up in Scotland with my clubs and obviously respect him. “He’s doing all the right things, he’s meeting people, he’s talking to people, he’s getting information, he’s doing everything right. “The only thing that he has to get right now is on the pitch, and that will take a little bit of time for players to get used to the system. He added: “[There are expectations of the new era] and we’re expectant of the team more than anything else. There’s got to be a good shape to the team now, the players have got to know what they’re doing and that takes a little bit of time on the training field. “He’s started the right way, he’s not so much working them hard, he’s looking more for technique, more for shape than fitness. “They’ve got the fitness now, they don’t need that input, so they can just go out there so everybody knows where they are. “It’s a bit boring for players to do that sort of thing but you have to do it, you have to go through the motions in terms of where you’re going to be when the ball’s here, what’s going to happen when we attack, offensively and defensively. That comes just from work. “It’s all repetition on the training pitch so that when you come out to play in the stadium it’s all peripheral, the noise, the atmosphere, the stands because you’re doing what you do on the training field; waves of attack, attack versus defence, all the shape. You have to do it, it’s the basic principles of football. “It never happened [under the previous management], I think Paul Hurst was more concerned with fitness and they ran them and when they got the ball they tried to take a breather, which you can’t do. Clever move, picking the brains of the people who know the club and its traditions best. Oh very good move PL. I like this very much . It’s aboyt Daving this great Club, and he looks to be doing all he can. Getting experienced “ insider” info on Town and what makes us can only help inform his decisions . Hurst / Doig appear to have done the opposite !! "It’s all repetition on the training pitch so that when you come out to play in the stadium it’s all peripheral, the noise, the atmosphere, the stands because you’re doing what you do on the training field; waves of attack, attack versus defence, all the shape. You have to do it, it’s the basic principles of football. It never happened [under the previous management], I think Paul Hurst was more concerned with fitness and they ran them and when they got the ball they tried to take a breather, which you can’t do." Got to admit at first I thought appointing Lambert was a strange one but the more I see & hear about him,how he conducts himself and his obvious love of football & the fans,well he’s totally changed my initial doubts. Loving what he’s doing here - feels like we’re in safe hands short and hopefully long term,not just to keep us treading water but to genuinely push on for the first time in 10 years. Open house like this evidences honesty, shows courage and above all values the ideas which may come out of these conversations He's certain to learn of the loyalty , feeling and love for ITFC , and behind closed doors might get a real in depth insight into what has so hindered progress and led to confusion . Positivity emanates from PL , it'll do nothing but good for the whole Club ! Most impressed with Paul Lambert, he has certainly succeeded in making a very good first impression. He is also trying his very best with considerable success to unite the club in general. 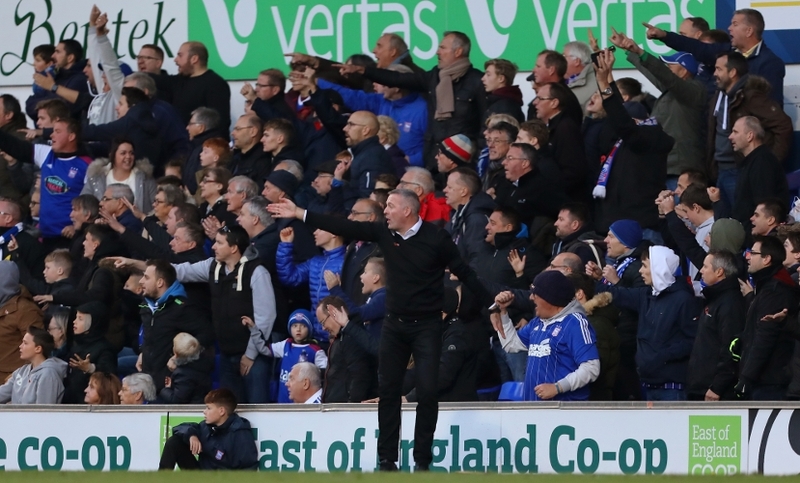 It's obvious that Paul Lambert not only knows his football but loves it too. Eats, sleeps and drinks football. Looking forward to Town making a decent fight of it this season now. More of a shrewd move than running out can fathom. Get the ex-players onside, less likely to snipe. Also gain their knowledge of what expectations from fans are; ok win games, but, there's a certain style expected. Had Lambert been installed as manager in the summer I suspect the vast majority of us would have been up in arms. It's ironic that it took someone to come in and do a terrible job for us to not only accept Lambert but realise just how good a manager he is. The proof will of course be in the pudding, but he's clearly the most competent manager we've had since Joe Royle. His approach is so refreshing and seems to encompass all areas of the club - but whereas some predecessors have attempted to change all aspects, he is seeking to understand them and tweak them only where necessary. Ooosht! That's what we want to see. Lambert's stock goes up by the day.. I am impressed. Lots of knowledge, history and experience to be gleaned from Butcher, Mills, Burley etc. And another step to heal the McCarthy and Hurst damage. Good basic management, known as stakeholder management. Nice work Paul, a simple move, but a good one. What a refreshing change from our recent managers, the more I get to know PL the more I think he could be very very good for this club, I just hope we haven’t appointed him too late.